After the stock market crash in 1929, many businesses struggled, including Coco Chanel’s couture house. In 1939, at the outbreak of WWII, she closed down her shops, leaving over 3,000 employees out of work. Some suggest she did this in retaliation against those workers who took part in the labor strike in France in 1936, which forced her to close her business at the time. She maintained that wartime was not a time for fashion. Only Coco knew her motivations during that period in history. 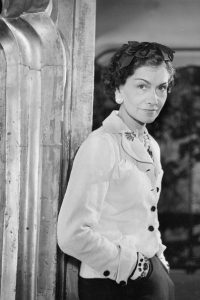 It is suggested that Coco Chanel, influenced by her lover the Duke of Westminster—an outspoken anti-Semite, had little tolerance for the Jewish population. This idea is further supported because, during the German occupation in France, Chanel had an affair with a German diplomat, Baron Hans Gunther von Dincklage. Chanel received special permission to continue her residence at the Hotel Ritz in Paris, the preferred residence of high ranking German officials. 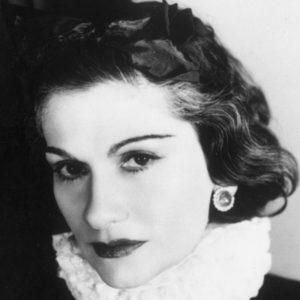 It was also rumored that through von Dincklage, Chanel may have served as a Nazi spy. When the war ended, Chanel was interrogated about her relationship with von Dincklage and her affiliation with the Nazis. Some believe her friend Winston Churchill came to her aid. Chanel was never officially charged. She left Paris to spend time in Switzerland. Early in her career, Chanel met businessman and director of a well-known perfume and cosmetics business, Pierre Wertheimer, through a mutual friend, Theophile Bader. Together, with Pierre’s brother Paul, they created “Parfums Chanel,” with the Wertheimers providing full financing, marketing, and distribution of Coco’s classic fragrance Chanel No. 5. The agreement stipulated that the Wertheimers received seventy percent of the profit, Bader twenty percent, and Chanel ten percent—with the caveat she allowed them to run operations of Parfums Chanel. She never got over the disappointment at the deal and made no secret of her dislike of the Wertheimers, who were Jewish. One wonders why she would agree to such a contract, but she must have had her reasons. She decided to sue. In 1924, they renegotiated the original contract and in 1947, Chanel received wartime profits of the perfume, estimated at nine million dollars in today’s money. She also would receive two percent of all sales worldwide. In addition, Wertheimer agreed to pay for Chanel’s living expenses for the rest of her life. When Chanel, at seventy years of age, revived her couture house in 1954, Wertheimer financed the business. Coco Chanel ran with a fast crowd. At least two biographies, one by Lisa Chaney, and another by Hal Vaughan maintain that Chanel was a habitual user of opiates, particularly morphine. Chanel died in her suite at the Hotel Ritz in Paris in 1971 at eighty-seven years of age. Some accounts state she wasn’t feeling well, and after returning from a walk with a friend went to bed and died peacefully in her sleep. Others allude to the supposition that upon retiring to bed, she gave herself one last injection. She might have, but whether it killed her has not been recorded. One thing is certain, Coco Chanel liked to keep everyone guessing. From her birthdate to her upbringing, to her reasons for not marrying—and even how she died, this fashion icon who changed the world with her smart and elegant fashions, definitely had the last word. 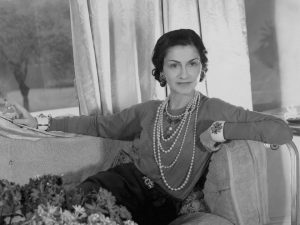 From inauspicious beginnings to fame and fortune, Coco Chanel, one of the world’s most revered women of fashion, found empowerment in her own way. While she lived most of her time on earth in the public eye, accounts of some facets of her history have been up for debate, as she, the master of her own destiny, often changed the facts of her own history to suit her needs. Here are a few mysteries surrounding Miss Chanel. According to most accounts, Coco’s parents named her Gabrielle Bonheur Chanel. At birth, someone entered her name into the registry as Gabrielle Bonheur Chasnel. This was later reported to be a clerical error as her mother was too ill to attend the registry and her father was traveling. Most sources agree that the name Coco came from a time in her early twenties when she worked on stage as a singer in clubs in Vichy and Moulins. The two songs she sang between other stage acts were “Ko Ko Ri Ko” and “Qui qu’avuCoco.” She later stated that the name came from a shortened version of the French word “cocotte,” which translates to “kept woman.” In some accounts, she states it was a nickname given to her by her father. Most sources agree Coco was born to an unmarried couple named Eugenie (Jeanne) Devolleand Albert Chanel. Jeanne worked as a laundress, and Albert a traveling peddler. The couple later married. When she was twelve years old, her mother died from tuberculosis, and her father sent Coco and her sisters to an orphanage in Aubazine run by Catholic nuns. Although her life at the orphanage demanded frugality and strict discipline, this is where she learned to sew. Other accounts claim she perfected her sewing on weekend visits to see two of her aunts. Coco later told another version of the story: her father set out for America to seek his fortune and she was sent to live with her two aunts. She also claimed she was much younger than twelve years old when her mother died. Coco Chanel never married, but ever the modern woman, she had many notable lovers—who helped to advance her career and status in life. Both men left her to marry more socially “eligible” women of title, but they remained friends. When Capel died in a car crash in 1919, Chanel reportedly said, “In losing Capel, I lost everything. What followed was not a life of happiness. In 1923, she met the Duke of Westminster while attending a party on his yacht. The two began a decade-long affair. He lavished her with expensive gifts and set her up in a home in the Mayfair district of London. In 1927, he gifted her with land on the French Riviera where she built a villa she named La Prusa.It is uncertain why the Duke and Chanel did not marry, but Chanel said of their break up, “There have been several Duchesses of Westminster, but there is only one Chanel. During her involvement with the Duke, she met and charmed Edward III, the Prince of Wales. 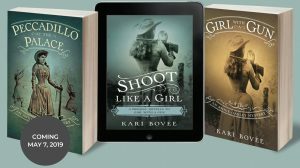 Some accounts state she had a fling with the Prince who was known for his philandering ways, but others don’t mention him.